Sunday's hike in the mountains two hours south of "Twin Peaks"--which remained unexplored by me until now--seemed unusual for two reasons. First, we chose an area which allows only two forms of transportation: horses and your own feet! Second, a 6-mile (10-kilometer) hike in this terrain is not particularly strenuous, until you add fishing gear, especially waders, into the equation. Those boots are not made for walkin'! And neither are the pants. Oh, and let's not forget food, some photographic equipment, and, of course, bear spray, too. Nonetheless, having spent the previous day on a boat, I was rather eager to get the exercise. It might come as a surprise coming for someone who constantly professes her love for the mountains, but I'm really not a fan of heights. The "really-really" kind of not. I have to engage in a bit of a Nietzschean staring contest with the Abyss. 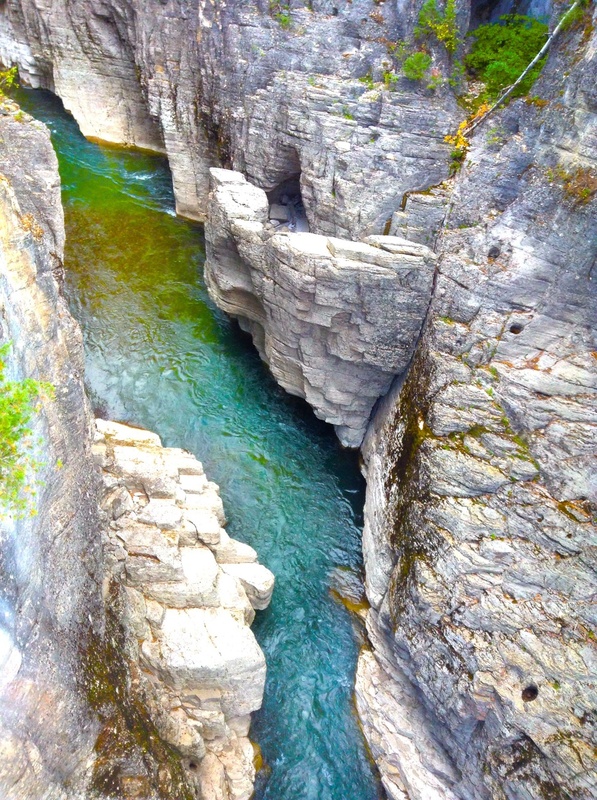 By the end of the day, however, I was climbing onto various rocks in a different--safer--part of this gorge just so I could get the right angle.